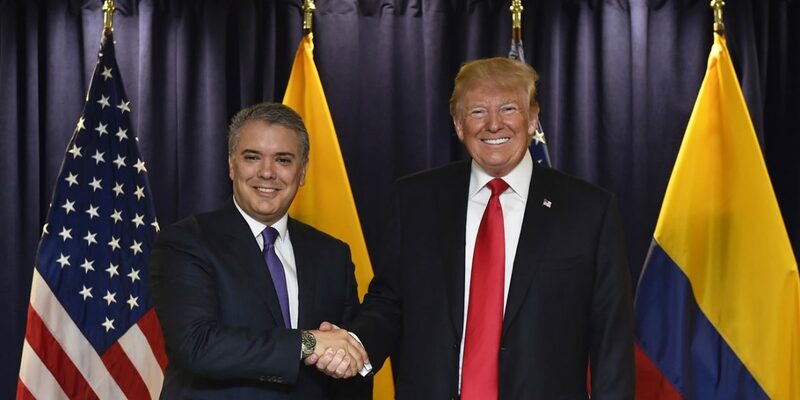 Colombia’s President Ivan Duque will visit his American counterpart Donald Trump in the middle of February, according to local media. The meeting, expected to take place on February 13 or 14, will come a week after a summit of the Organization of American States that’s also located in Washington DC. The meeting became public shortly after acting US Attorney General Matthew and Defense Secretary Mike Pompeo visited Duque in Colombia. The two presidents will likely discuss the situation in Venezuela, Colombia’s neighbor to the east. Newspaper El Tiempo, which is close to the government, said that the agenda also includes bilateral trade and joint attempts to curb drug trafficking. The two leaders met for the first time at a UN summit in September last year, one month after Duque took office.